They’ve been dirt and for the most part they don’t care. The newest offering from renowned odd ball filmmaker Jim Jarmusch is a semi stylized look into one of the most revered groups in history, The Stooges. Starting at the start, we are given insight into the minds and aspirations of a couple of no good kids looking to make a living out of having a good time. From the grinding club days supporting fellow counter-culturists The MC5, to visiting New York for the first time to record their eponymous self- titled debut, a plethora of inspiring and angst-ridden anecdotes are unearthed (it’s a wonder they still remember half of it). However this is a story that isn’t without it’s troubles. A car crash, which destroyed all of the equipment, injured several crew members as well as drummer Scott Asheton put the band in a tight spot to say the least. The band also had to let their founding bass player Dave Alexander go due to his intoxication and inability to play for an import show. He would be succeeded by a couple of other players, notably Jimmy Recca who played with them until the first break up in 1971. All of this culminates to show that everyone has their very up ups and incredibly down downs. Despite this, The Stooges have made more than a lasting impression and shows that all one needs is the drive to accomplish what they want despite set backs. Not bad for a bunch of snot nosed kids from Michigan. 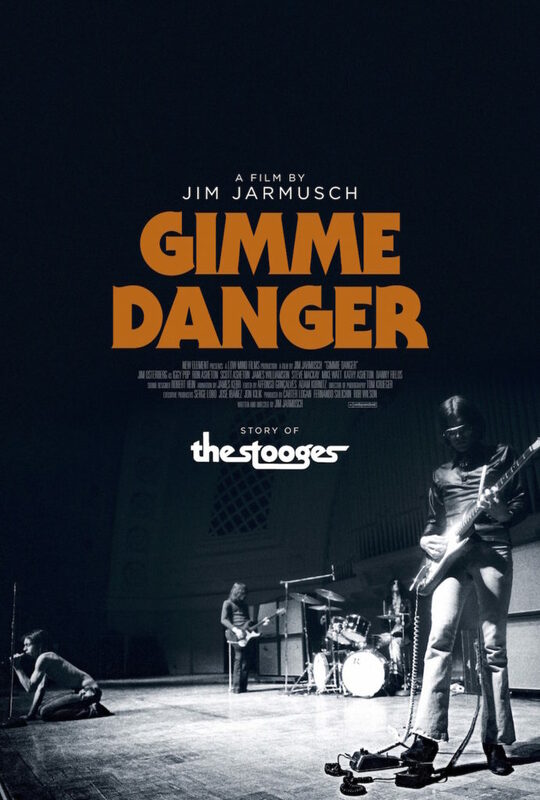 Gimme Danger, directed by Jim Jarmusch and featuring Jim Osterberg, Ron Asheton, Scott Asheton, James Williamson, Steve Mackay, Mike Watt, Kathy Asheton, and Danny Fields is in select theaters nationwide November 4th.